Bonnie Jean Boyle Singleton. After 81 years of life filled with sacrifice and service, Bonnie Jean Boyle Singleton passed away peacefully at the home of her daughter. She is remembered by her children as one who placed faith and family first in her life and who always set the example of love and service to others. She truly was the heart of her home. 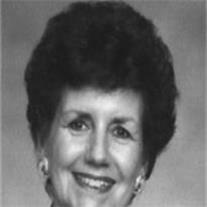 Bonnie was an active member of The Church of Jesus Christ of Latter-day Saints, and served in many capacities during her life, including missions to Dallas, Texas; Laie, Hawaii Temple; Ft. Lauderdale, Florida and Guam, Micronesia; as well as working for many years in the Atlanta, Georgia and Mesa Arizona Temples. Bonnie is survived by her children, Tina and Key Ray, Cindy and Ed Standage, Tracy and Dale Wheeler, all of Mesa, Mark Singleton and Matt Singleton of Atlanta, Georgia, 20 grandchildren, 21 great-grandchildren, her brother Jay Boyle and many nieces, nephews and cousins. Funeral Services will be Wednesday, May 13, 2009 at 10:00 AM at the Estate Groves Ward, 3920 E. Brown Rd., Mesa, AZ. Interment will follow at the City of Mesa Cemetery.